The Montreal Canadiens have one of the best goalies in the league in Carey Price. Unfortunately, when Price is not in the lineup the team does not play up to par like they are supposed to do. The current backup is Al Montoya, which he has looked decent so far, but after allowing ten goals to a up and down Columbus Blue Jackets club, it puts him on the hot seat. Those ten goals are not all his fault, as hockey is a team game, but it reflects on his stat sheet that puts him on the hot seat. So this brings me to a possible solution of the Canadiens acquiring a former top prospect goaltender and starter in Ondrej Pavelec. With the Winnipeg Jets optioning Pavelec to the AHL to start the year, they were hoping someone would of claimed him and his base salary ($4.75 mil, according to spotrac), but that did not happen. Pavelec lost his roster spot to two younger goalies in Connor Hellebuyck and Michael Hutchinson, who are both playing at a suitable level. 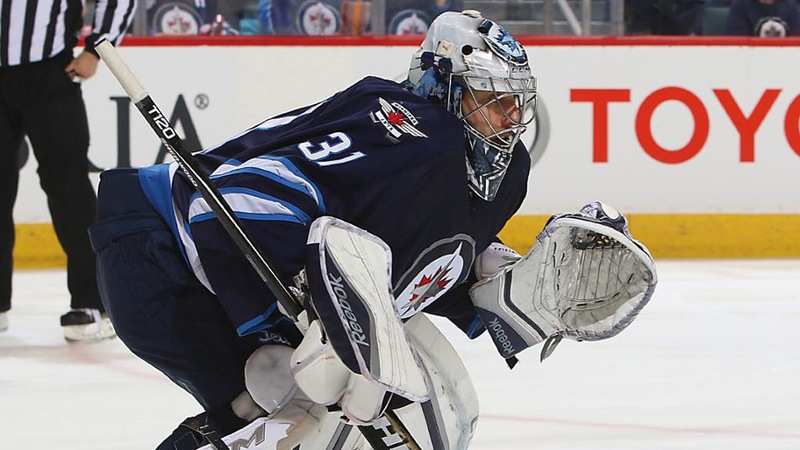 In addition to Pavelec’s salary, he is a unrestricted free agent after this season. The Canadiens would have to find a way to make room for him by clearing out a couple of million of dollars, but maybe the Jets will be willing to take on some of the money to get a prospect in return. Now, the prospect will not be a top prospect, but adding a young player to the system never hurts for the Jets, as they are still retooling. Also, the 29-year-old goalie has played in 371 games (354 starts) and won 148 of those games with a 2.85 goals against average, plus a .907 saves percentage. The backups combined from this year and last year (Montoya, Scrivens, Tokarski) have played in 319 career games combined, leaving Pavelec playing in 56 more games over those three together. Finally, I think Pavelec’s experience is worth the attempt of acquiring him, and the hope when Price is out of the lineup that they can still pull of the win. Next Post Rudy Gay﻿ To H-Town? I agree with you. The Habs get some solid play behind Price and I would feel more comfortable about this guy over Montoya. Montoya is garbage. really 10 goals given up in one game? I would of cut him after that lost.